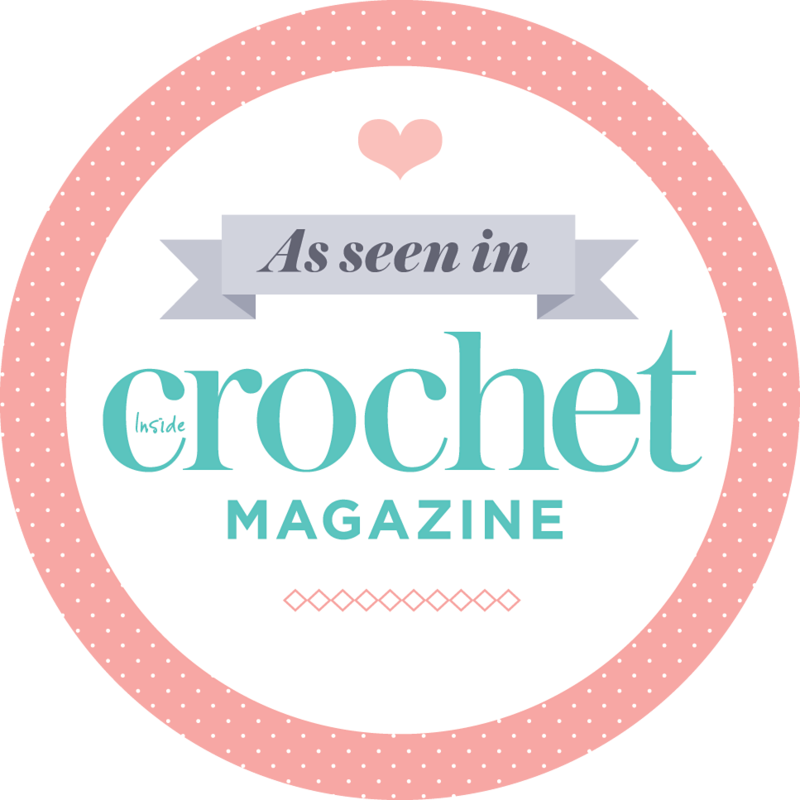 Jane has a considerable amount of crochet experience dating back to childhood, crocheting her own clothes in the 1960/70s and teaching crochet at Adult Education Classes in the 1980s. She has recently moved back to the area having been in Lewes for a couple of years where she was teaching Crochet to Beginners and Improvers. Jane’s Nice & Easy Workshops are now held at Creative Quilting in Hampton Court Village. Crochet appointments are also available at Jane’s Nice & Easy OneToOne Crochet Surgery (no amputations necessary just help with crochet). 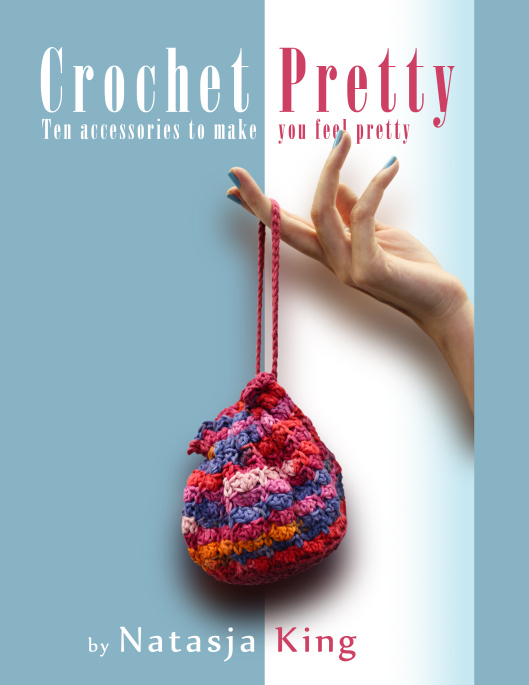 Details can be found on www.janescrochet.com and you can follow Jane on twitter @janescrochet. I mentioned Jane briefly in this post where I shared the blessings and good vibrations I’m experiencing in organising the event. 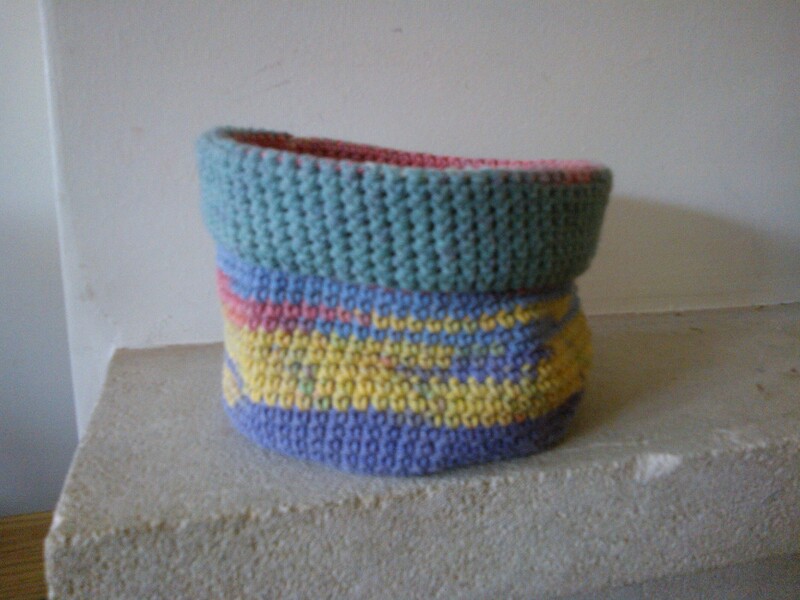 This post is about that very Jane who has donated a place in one of her crochet workshops, and donated a crochet basket like the one below, as raffle prizes. Thank you very much Jane for sharing your expertise and your support! Are any of my blog readers making purple and white squares? Are any of you planning to attend the event on the 9th of November? I’d love to hear from you! As for me, I’m working on my chevron scarf at the moment, but I’ll be making purple and white squares (using Vinni’s Colours Nikkim of course) for five days nonstop from next Friday: John and I are going on a short holiday to Spain! What better time for some relaxed purple and white hooky action?! Sun, sea, paella, chorizo and crochet. Can. Not. Wait. Hi, enjoy your trip to Spain, take care.